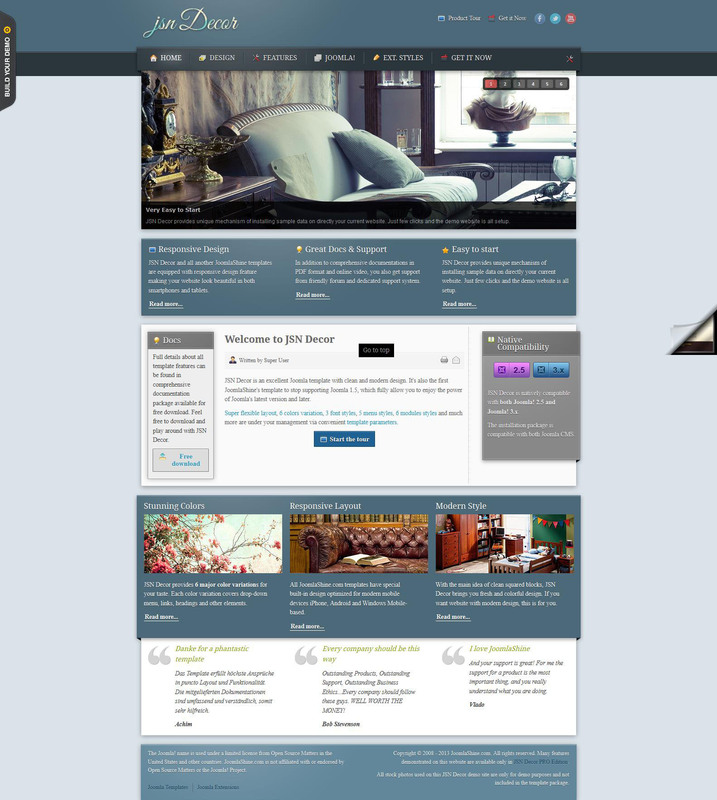 JSN Decor - designed by little-known designers web studio JoomlaShine template that is suitable for sites of any subject. You can use it as a blog, write about their musical, literary preferences, or plunge into the world of news - publish fresh and objective information "without partiality." Your thoughts just will not go unnoticed thanks to search engine optimization (SEO) - it will make your child popular. Depending on what plan you want to make a website, there are three skin types: business style, a blog, a news style. The project supports 14 languages.